A ONE-DAY FESTIVAL BRINGING YOU THE BEST OF BRITPOP! 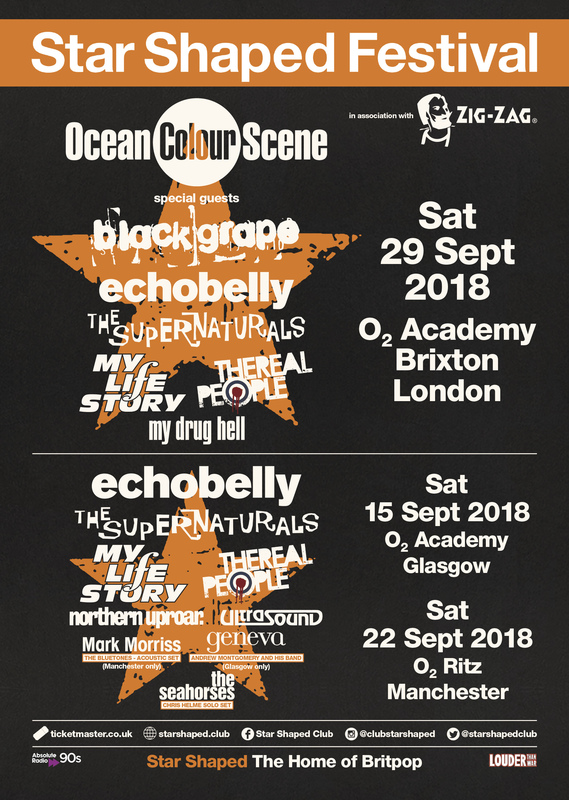 Tickets on sale now – Click here to get yours! This is not your standard festival. There are no tents, no overpriced food, no need to fund a whole weekends worth of drinking, just one perfect day/night. No being miles away from the bands, watching them on a little screen and having the sound blown around everywhere, just great a venue, great bands, great atmosphere, and great DJs. All tickets include entry to an exclusive after show party as our legendary Star Shaped Club DJ’s keep the celebrations going! Plus exhibitions, visuals and lots of other surprises. Tickets are starting to run low so grab one while you can! © Star Shaped 2015-2017. All Rights Reserved.